More than 75 percent of physicians—and virtually all physicians in high-risk specialties such as obstetrics and gynecology and neurosurgery—face a medical-malpractice claim over the course of their career. While litigation costs are higher for claims that result in awards, litigation costs for claims that do not result in awards are still significant, averaging $17,130. Moreover, physicians spend an average of 11 percent of their careers with an unresolved malpractice claim, and claims that did not result in payments account for more than 70 percent of this time. This length of time negatively impacts both physicians and patients. Physicians have less time to treat patients when responding to these claims and face the potential of tarnished reputations, while patients with legitimate claims must wait for resolution. These lengthy time periods can also delay implementation of quality and safety-related changes to medical practices that might prevent similar accidents from occurring in the future. Faced with both financial and nonfinancial costs, the risk of being sued may cause physicians to practice what is known as defensive medicine, or the ordering of excessive and unnecessary medical tests, procedures, or further consultations done in part to protect the physician from accusations of negligence. Defensive medicine increases health care costs without improving health outcomes. In the most recent peer-reviewed study, orthopedic surgeons recorded in real time whether imaging was required for clinical care or ordered for defensive reasons and found that physicians ordered 19.1 percent of imaging tests and 38.5 percent of MRIs for defensive reasons. Tellingly, physicians who had been sued within the past five years were substantially more likely to order defensive imaging. The same was true for physicians who had practiced medicine for more than 15 years. This study is consistent with many previous studies finding that 80 percent to 90 percent of physicians report practicing defensive medicine due to fears of medical-malpractice claims. In another study, in which physicians were given different clinical scenarios, the nonpartisan Office of Technology Assessment found that, on average, 8 percent of physicians chose a clinical action for primarily defensive reasons, and in certain situations, the rate was much higher. Several other peer-reviewed studies have found that malpractice costs are associated with increased health care utilization, particularly of diagnostic and imaging procedures. To the extent that this increased utilization does not improve patients’ health outcomes, it represents defensive medicine. But there is a right way and a wrong way to reduce the costs of defensive medicine. One proposal would arbitrarily cap the amount of damages that may be awarded in malpractice suits. According to the Congressional Budget Office, these caps on damages would only reduce national health spending by 0.5 percent. But while such caps would have a barely measureable impact on health care costs, they might adversely affect health outcomes. Every year about 200,000 severe medical injuries are caused by physician negligence, and with these caps in place, these patients might not be able to obtain full and just compensation for their injuries. Patients who bring a malpractice claim must show that their physician did not meet the standard of care when treating their specific condition. The legal standard of care has traditionally been the local customary practice of physicians in a particular community, which is highly variable and often not supported by evidence. Under a safe harbor, guidelines would be presumed to define the legal standard of care. Patients would still be able to present evidence that these guidelines are not applicable to the given situation or that a physician did not actually follow the guidelines, and they could also use the guidelines to establish negligence by physicians. A recent analysis of hospital data shows that defining the standard of care in malpractice cases based on nationwide medical practices reduces local variations in care. Using national practices—which are more likely to be supported by evidence—to establish the standard of care likely exposes physicians to new data and information and creates incentives to follow these national standards. In states that have adopted national practices as the standard of care, the differences in certain medical practices between those states and the rest of the nation were reduced by 30 percent to 50 percent. Eliminating the incentives to follow local customary practices that are less likely to be supported by clinical evidence increases the likelihood that patients will receive appropriate care. And the safe-harbor solution would further reduce harmful clinical variation by creating new incentives for physicians to follow specific, evidence-based guidelines. More widespread use of evidence-based clinical-practice guidelines has the potential to reduce unwarranted variation in health care practices and spending, improve the quality of health care, and improve patient safety. 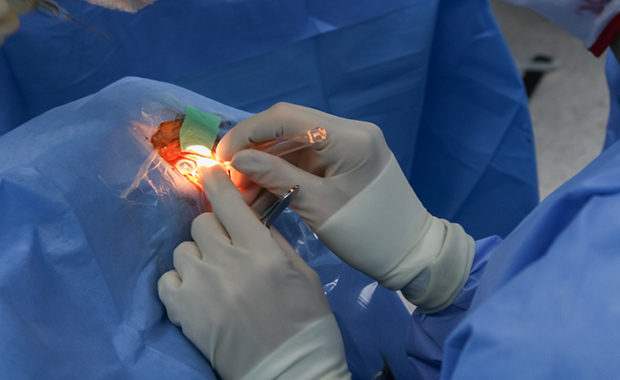 Under an initiative called Choosing Wisely, 35 physician specialty groups recently released guidelines on more than 130 common tests and procedures that might be overused or unnecessary. These include MRIs for complaints of back pain, routine-stress cardiac imaging, imaging scans for simple headaches, and scans after fainting, all of which physicians may overprescribe to avert liability in the case of malpractice suits. This groundbreaking effort should inform the development of evidence-based clinical-practice guidelines. In addition, to ensure that guidelines do not prescribe a one-size-fits-all approach, they should clearly identify any exceptions to their application. It is critically important that guidelines be viewed as high quality, evidence based, and trustworthy. Public confidence in the guideline-development process will accelerate adoption and use of guidelines. The National Guideline Clearinghouse, or NGC, was created as a public-private partnership between the Agency for Healthcare Research and Quality—part of the Department of Health and Human Services—the American Medical Association, and America’s Health Insurance Plans. As recommended by the Institute of Medicine, or IOM, the NGC should certify physician organizations—such as the American College of Obstetricians and Gynecologists and the American College of Radiology—at their request, as long as they comply with the IOM standards for guideline development. Once certified, these specialty organizations would develop evidence-based guidelines for tests and procedures in their areas of expertise. Organizational certifications should be valid for a three-year period. The NGC should also require organizations to re-evaluate guidelines at least once every three years—a frequency that research suggests is needed. Physicians who participate in guideline development should publicly disclose all interests, and they and their family members should be completely free from any financial conflicts of interest. In addition, guideline development should not be funded by any sectors of the health care industry, including medical imaging, device, or pharmaceutical companies. A major cost of guideline development is systematic reviews of existing medical research. Substantial federal funding is available for such reviews by the Patient-Centered Outcomes Research Institute, or PCORI. PCORI should prioritize such reviews and make them available to physician organizations, which can then use them for guideline development. Priority should be given to specialty areas in which defensive medicine, practice variation, and medical errors are prevalent. The Affordable Care Act provides federal grants for state demonstration projects to test and implement medical-malpractice reforms. But the law strictly limits funding to projects that would not change existing state liability standards—a limitation that rules out most safe-harbor reforms. Under a separate program, known as the Medical Liability Reform and Patient Safety Initiative, the Agency for Healthcare Research and Quality funds planning and demonstration grants. While this program does not foreclose safe-harbor reforms, it has been very limited in scale. Only one planning grant has been awarded, to Oregon for the development—but not implementation—of a safe-harbor legislative proposal. In its report on the project, Oregon estimated that implementation of a safe harbor could save about 5 percent of medical-liability costs in the state and could resolve nearly 10 percent of claims more quickly. Oregon found broad support for a safe harbor among physicians: More than 70 percent of providers said that a safe harbor would likely reduce the practice of defensive medicine. Patients would also benefit from a safe harbor because about 5 percent of injuries would be avoided if physicians followed guidelines. At a minimum, Congress should remove funding restrictions on safe-harbor reforms and fully fund demonstration grants to states that wish to test these types of reforms. The federal government should take additional steps to provide strong financial incentives for states to implement safe-harbor reforms. If a state implements a safe harbor and is able to reduce Medicaid costs by at least 2 percent, reduce patient injuries by at least 5 percent, and meet performance goals on the quality of care that is subject to the safe harbor, then the state would keep the entire amount of federal Medicaid savings. The threat of a malpractice claim creates an incentive for physicians to mimic the practices of their colleagues, regardless of whether those treatment decisions are consistent with what clinical evidence deems necessary. In some cases, physicians may order medical tests and procedures that are unnecessary but commonly prescribed. In other cases, physicians may undertreat patients if their colleagues have not yet adopted new treatment regimes. Proposals to limit damages awarded in these cases might lower health care costs slightly, but only with a great risk of harm to patients. Moreover, those types of reform proposals do not address the practice variations that result from the current medical-liability structure. Instead, the safe-harbor approach proposed in this brief encourages physicians to follow evidence-based guidelines, which will improve the quality of care and patient safety. Ezekiel J. Emanuel is a Senior Fellow at the Center for American Progress. Topher Spiro is the Vice President for Health Policy at the Center. Maura Calsyn is the Associate Director of Health Policy at the Center. This publication was made possible by a grant from the Peter G. Peterson Foundation. The statements made and views expressed are solely those of the authors.